Kitty Love would love to meet you! She would prefer to be the only cat in the home. 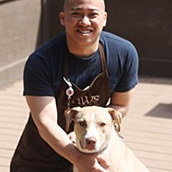 Kitty Love is currently spending time in a foster home, please email adoptions@pawschicago.org to learn more about her. Meet Kitty Love! 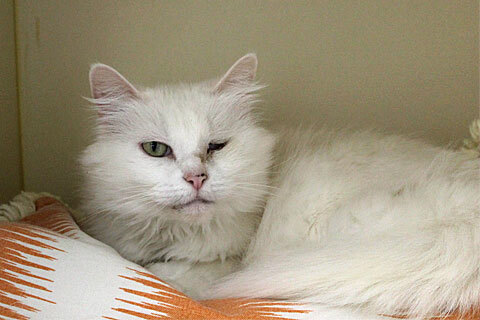 Kitty Love is a beautiful cat with shiny white fur and a big, fluffy tail. Although she is independent, Kitty Love is also very social and enjoys being near her human companions—in fact, her foster dad describes her as being the perfect blend of independent and affectionate! She loves to play, and especially likes wand toys. Kitty Love is always happy to see her human friends, and will greet her foster dad warmly when he comes home, whether he’s been gone all day or just a few hours. 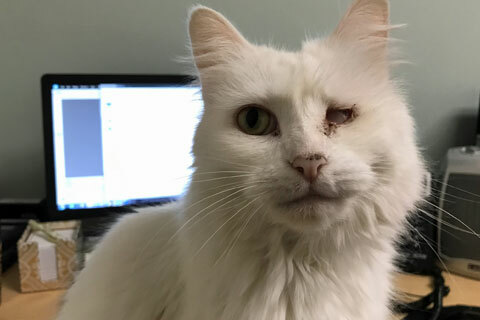 Kitty Love enjoys being pet and receiving chin and head scratches, but she is also not shy about letting you know when she’s had enough interaction for the time being, and would do best with an experienced cat owner who can read her signals well. Although she loves people, Kitty Love doesn’t like the company of other cats, and will need to be the only cat in her forever home. 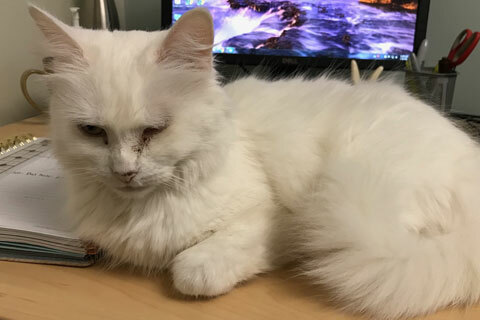 Because Kitty Love found life at the adoption center stressful, she has been placed in a long-term foster home, where she has enjoyed being treated like the princess that she is! She settled in quickly and immediately made herself at home, so her future family shouldn’t have to worry about much in the way of an adjustment period. Friendly, good-natured, and well-adjusted, Kitty Love is a wonderful cat who will make a ‘purrrfect’ addition to any home. If you are an experienced, adult cat owner with no other animals, Kitty Love would make an amazing match for you! 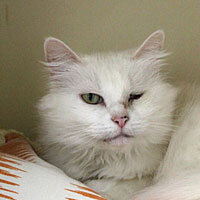 She has a lot of love to give and enjoys being around people… could you give Kitty Love the home she’s been dreaming of? I love chasing toy mice and feather toys. Was that a bird? I love window watching! I'm an explorer- I love to jump and climb! Next Steps for Kitty Love?